This is done every season that you coach! #1) Go to the BASC website: www.bascok.com. Click on the coaches tab, coach registration. 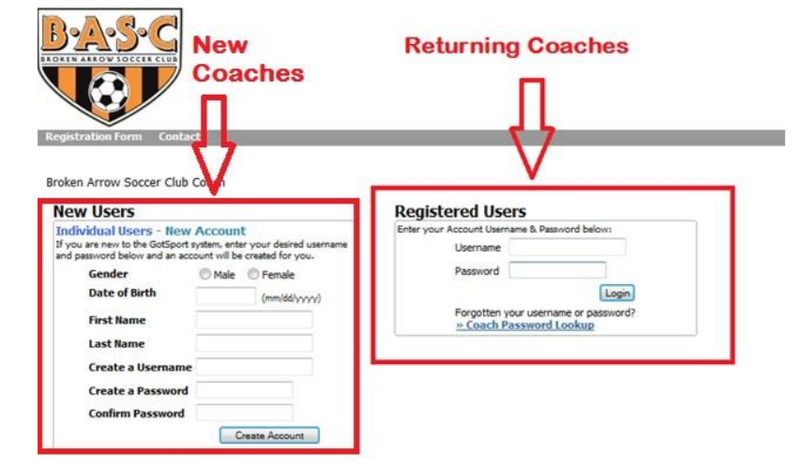 #2 Returning Coaches: Log in with your username & password. New coaches: Create a new account. A MANDATORY BACKGROUND CHECK IS NEEDED FOR EACH COACH. 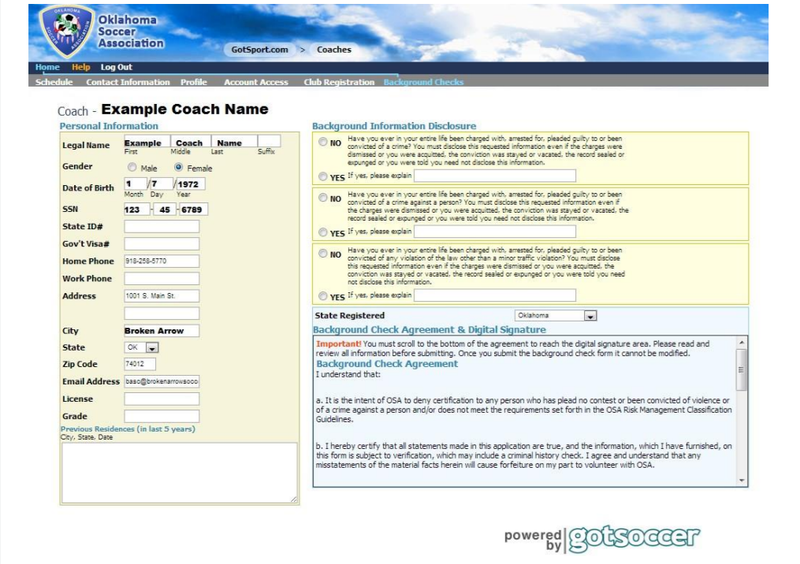 Once per year on page 4 of your coach registration there will be background check paperwork to fill out & submit. If you are within your one year time period, a background check will not appear on page 4 of your form and you will then be finished with your coach registration.